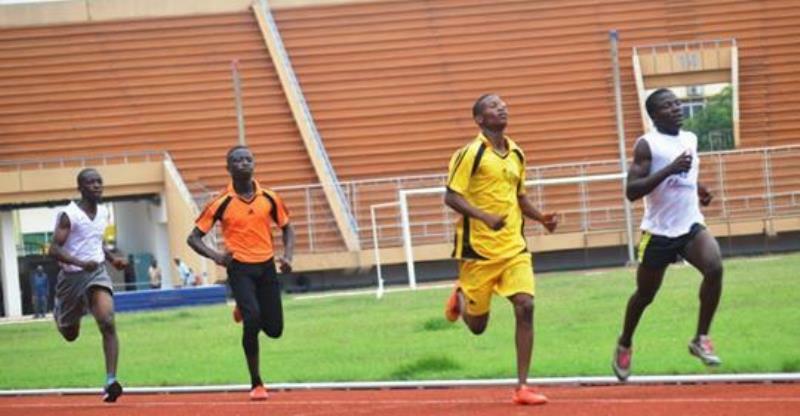 Monrovia – At least 25 junior and senior high schools are expected to participate in the 13th Edition of the Inter-School Athletics Championship, which will be held at the Samuel K. Doe Sports Complex, from Thursday – Friday, March 21 – 22, from 8 a.m. to 4 p.m.
At least 20 athletes — boys and girls — are expected to represent their respective schools and perhaps 2019 Inter-School Athletics Championship will bring together over 500 student athletes on the tracks. Defending champions Brighter Future, Body of Christ and Growing Seeds are expected to lead an array of junior and high schools from Monsterrado County for the grasp of the six trophies and the achievements’ certificates. New entries Ganta United Methodist School from Nimba County is already in Monrovia and in high spirit for the championship, while Shalom International from Margibi County was expected yesterday evening. The head coach of the LAF, Samuel C. Cooper, said this year’s championship will comprise of two categories, Youth (9 – 14 years); and Junior (15 – 20 years). The athletes are expected to participate in 10 events: 100m, 200m, 400m and 800m. The remaining events are 1500m, 4x100m, 4x400m, Long Jump, High Jump and Shot Put. “The championship is intended to promote athletics among junior and senior high schools, and to also select potential players that can represent the nation,” Coach Cooper noted. Better Future Foundation won the 12th Inter-School Track & Field champions with six gold medals after a two-day competition. Body of Christ School emerged 2nd with five gold medals. Both schools accumulated 39 points. Growing Seed School System grabbed the 3rd-place trophy with 20 points. Two-time winner Jimmy Jolocon settled fourth place with 18 points, and failed to grab a cup to carry home. Jimmy Jolocon High School won the Inter-School Athletics Championship in 2016 and retained the Championship on Friday, May 5, 2017. The male and female teams of the Cobra Kingdom of the Jimmy Jolocon earned a total of 72 points, nine gold medals, seven silver medals and six bronze medals.